While it’s perfectly legal to transport ammunition on airplanes in checked luggage if it’s in a wooden or cardboard box specifically made for the purpose of transporting bullets, bringing those items in a carry-on and trying to dispose of them by throwing them in a trash can or down the toilet on an airplane is a big no-no. Just ask the United Airlines pilot accused of doing so. The Associated Press reports that United Airlines has opened an investigation into an incident in which a captain supposedly threw bullets in a trash can accessible to passengers and then flushed them down a toilet during a flight he was piloting from Houston to Germany. A flight attendant looking for a passenger’s missing ring, found 10 bullets in the trash bin. The crew member then alerted the pilot, who flushed them down the toilet and alerted authorities in Germany that he had been the one to dump the ammunition. Shortly after landing, the plane was moved to a remote area where the waste tanks were emptied and the bullets removed, the AP reports. A spokesperson for the airline said the pilot, who is allowed to carry a gun on domestic flights through a federal program, attempted to dump the bullets after realizing they were in his bag. According to the Transportation Security Administration, under the Federal Flight Deck Officer program, eligible flight crew members are authorized to use firearms to defend against an act of criminal violence or air piracy. However, eligible crew members are not allowed to bring firearms or ammunition when flying outside the United States or when not on duty. 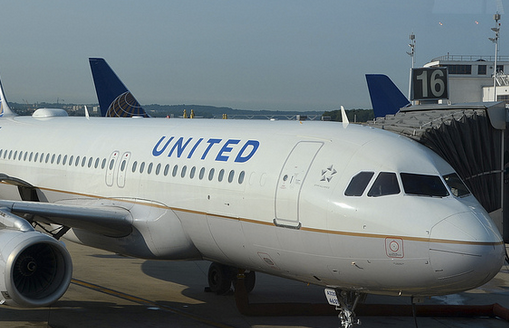 While the incident is still under investigation, the pilot has not been fired, United said.